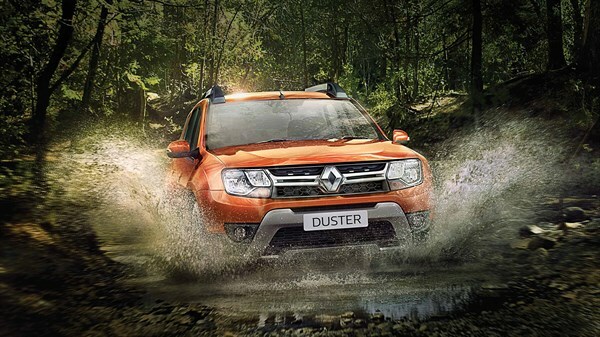 Building on over a century of R&D, Renault sets the standards for automotive safety. Our approach is based on accident and road situation safety. The result: vehicles tailored to current driving conditions. The compressed air starter replaced the hand crank, responsible for numerous injuries. 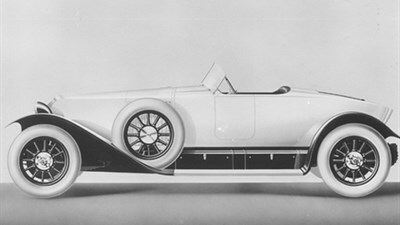 The 6-cylinder 18 hp and 40 hp enjoyed brakes on the front wheels. 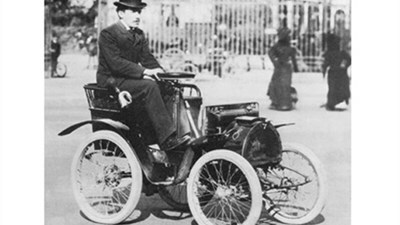 The 40 hp would receive a mechanical booster (this system can enhance the braking effect) whose patent was filed by Louis Renault. 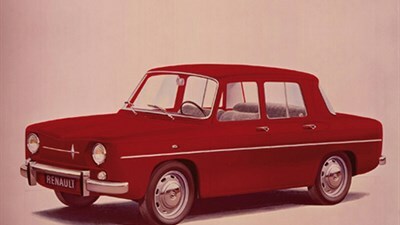 The Juvaquatre is the first Renault to benefit from an independent front suspension (for better performance), and consisted of a full monocoque steel (for better protection). Lardy Creation Centre (91) is opened, which concentrates on all the tests of future Renault vehicles. It is in this centre that our initial tests of impact resistance are carried out. Creation of ‘Laboratory of Biomechanics and Accident (LAB)’, common to Renault and PSA Peugeot-Citroën. Presentation of the study vehicle EPURE (Study for the Protection of Road Users and the Environment). It uses the concept of deformable cockpit and takes into account the impact against pedestrians. Appearance of driver's airbag and seatbelt pretensioners on CLIO, R19 and SAFRANE. Appearance of Programmed Restraint System (SRP1) on MEGANE. 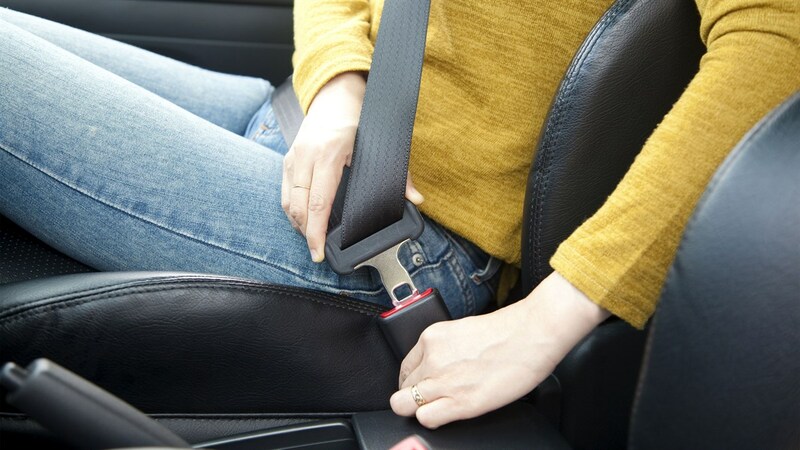 This system revolutionises seatbelt force limiters combining a pretensioner and a reel blocker. Emergence of Programmed Restraint System (SRP2). 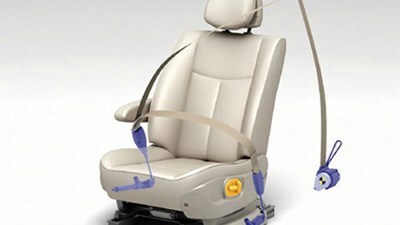 This system combines the driver and passenger airbags, load limiters, the pretensioner and the headrest bodyguards. 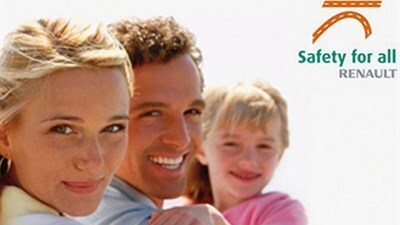 Creation of the program "Safety for All". Appearance of the Emergency Brake Assistance (EBA) on SCENIC. Appearance of stability control (ESC) on LAGUNA II, an anti-skid system and third generation PRS. 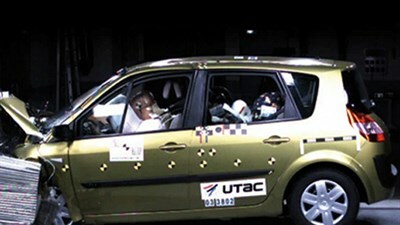 LAGUNA II was the first car in the market to get five-star Euro NCAP crash tests. Five stars in Euro NCAP crash tests for MEGANE II and VEL SATIS. 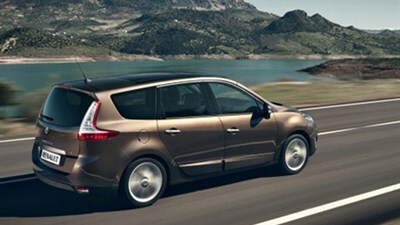 Five stars in Euro NCAP crash tests for ESPACE IV and SCENIC II. Five stars in Euro NCAP crash tests for MEGANE COUPE CABRIOLET and MODUS (first vehicle in its class to get five stars). Five stars in Euro NCAP crash tests for CLIO III. 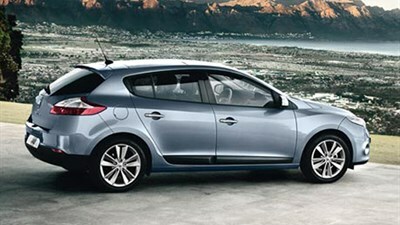 Five stars in Euro NCAP crash tests for LAGUNA III with a score of 36 points out of 37. MEGANE gets five stars in Euro NCAP crash tests with the highest score in Euro NCAP crash tests together amongst all categories of vehicles: 37 points out of 37. 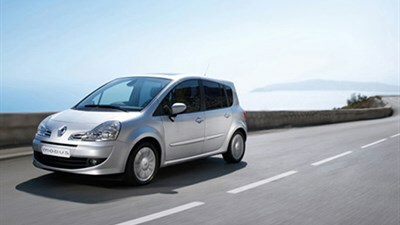 The 12th Renault car is expanded to ensure Euro NCAP five-star rating. Obtained through the tightening of the scale in force since January 2012, this result once again confirms Renault's expertise in passive safety. With a score of 85% in the overall result, new Renault CLIO is still growing compared to its predecessor and is positioned at the forefront of its segment in which she even gets the highest score on the criteria of childproof, shock and pedestrian safety equipment. In the future, security will be more interactive. Renault is committed to improving the control of behaviour. This is why we develop embedded technologies, allowing the detection of the surrounding environment to alert the driver and anticipate the activation of safety systems. 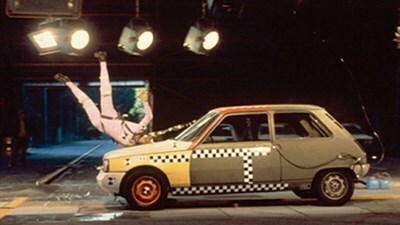 Renault develops advanced technologies to prevent accidents . 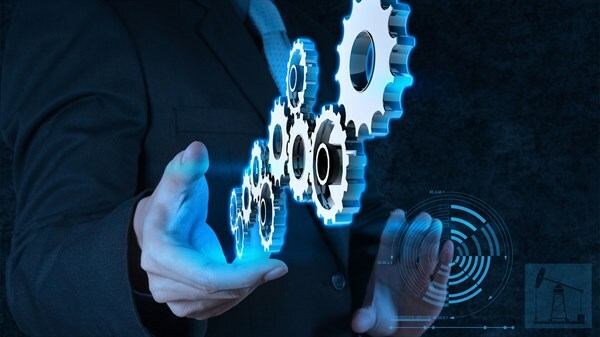 Our engineers are constantly working to keep your car easy on your pocket and on the environment .